If you have an event or conference that you would like to request to have listed on the calendar, please email the details to anmffederal@anmf.org.au. Refreshments will be provided before the seminar, starting from 12:30PM (Haggarty Space). To attend the public lecture please RSVP for catering, by email to severeasthma@newcastle.edu.au. The theme for the Conference is "Leading the Way: Nursing and Midwifery quality, research and education". This conference provides a forum for Nursing and Midwifery clinicians, researchers and educators from Australia and overseas, to share knowledge and celebrate experiences of innovative Nursing and Midwifery led projects relating to clinical care, education and research. Presentations and posters with cultural relevance and foci are welcome and encouraged. The Conference will cover the topics of knowledge translation, quality and safety, innovative healthcare, values and culture and leadership. The Wellness Conference is run in partnership with the Nursing and Midwifery Healthcare Program Victoria. Be inspired by new ways to care for your emotional and physical health. New therapies for Alzheimer’s, using genetic tests to improve autism and depression, and the gut-brain connection are among the key topics to be presented by leading international researchers and clinicians at the 7th BioCeuticals Research Symposium in Sydney this May. The Symposium theme Mood, Genes and Cognition will explore the integrative health strategies for managing mental and neurological disorders, including the most complex cases. Registration for the 7th BioCeuticals Research Symposium is now open. Healthcare practitioners who would like to attend the Symposium can register to receive the Early-Bird rate of A$780 (valid until 10 February 2019). The Gold Coast is set to host world-renowned clinical experts, in the Mind-Body-Heart connection supporting Australia’s wellness movement. As wellness approaches such as mindfulness, meditation and Emotional Freedom Techniques become increasingly embraced in mainstream, the growing clinical acceptance of the Mind-Body-Heart connection across the world represents a major therapeutic paradigm shift. This transformational forum welcomes some of the world’s most influential experts in the Mind-Body-Heart connection and this is your opportunity to spend a weekend with your favourite speakers, immerse yourself in their teachings and come away feeling refreshed and renewed. May 5 is the internationally recognised day for highlighting the work of midwives. Final year nursing and midwifery students are encouraged to attend this event to best prepare for their graduate year. National Reconciliation Week (NRW) is celebrated by communities, businesses and individuals at thousands of events across Australia. These dates commemorate two significant milestones in the reconciliation journey— the successful 1967 referendum, and the High Court Mabo decision respectively. The Lowitja Institute International Indigenous Health and Wellbeing conference will be an Indigenous space built on First Nations knowledges and values. It will be a space to connect Indigenous peoples, and non-Indigenous colleagues, and share the journey together. ​Through the conference theme, the Institute invites an important discussion about the futures we want as Indigenous peoples and our contribution to the wellbeing of the planet. ICN Congress 2019 is to be held in Singapore from 27 June to 1 July 2019. Hosted by the Singapore Nurses Association, this international gathering of thousands of nurses will explore the many ways in which nurses work to achieve universal access to health, not only providing health care but also addressing the social determinants of health, such as education, gender equality, poverty, etc. The Congress will provide opportunities for nurses to build relationships and to disseminate nursing and health-related knowledge. The Council of National Nursing Association Representatives, ICN’s global governing body, will convene from 25-27 June 2019. Congress participants who are members of ICN member associations will be able to observe global nursing leaders, identify the profession’s priorities and future directions. NAIDOC Week celebrations are held across Australia each July to celebrate the history, culture and achievements of Aboriginal and Torres Strait Islander peoples. NAIDOC is celebrated not only in Indigenous communities, but by Australians from all walks of life. The week is a great opportunity to participate in a range of activities and to support your local Aboriginal and Torres Strait Islander community. NAIDOC originally stood for ‘National Aborigines and Islanders Day Observance Committee’. This committee was once responsible for organising national activities during NAIDOC Week and its acronym has since become the name of the week itself. Better understand the transition to clinical practice. The National Nursing Forum (NNF) is the Australian College of Nursing’s signature annual leadership and educational event bringing together nurses, students and other health professionals from around the country and across the globe. 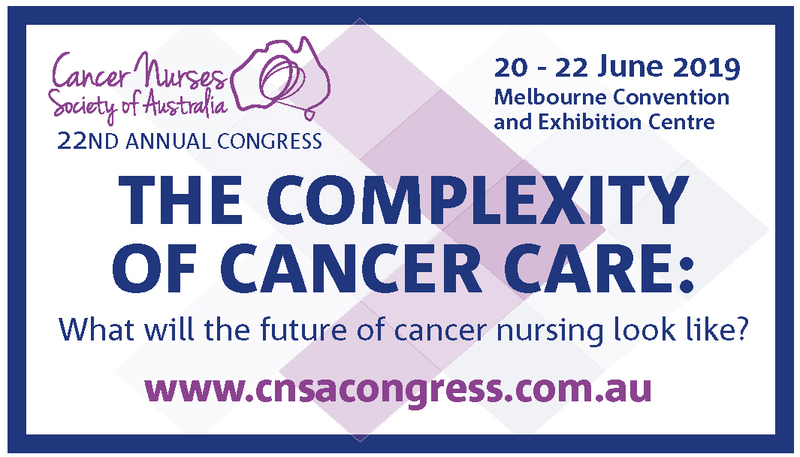 The Australian College of Nurse Practitioners National Conference is the Colleges flagship event that offers a comprehensive and diverse program focused on bringing together Nurse Practitioners, Advanced Practice Nurses and Nursing leaders from around the Nation. Two day leading nursing and midwifery conference, presenting an extensive program exploring a range of professional issues affecting contemporary healthcare.